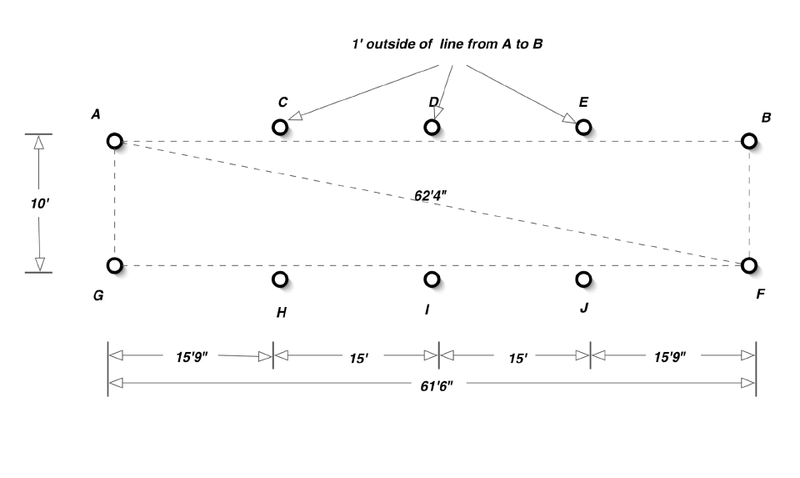 Determine area in which batting cage frame will be erected. 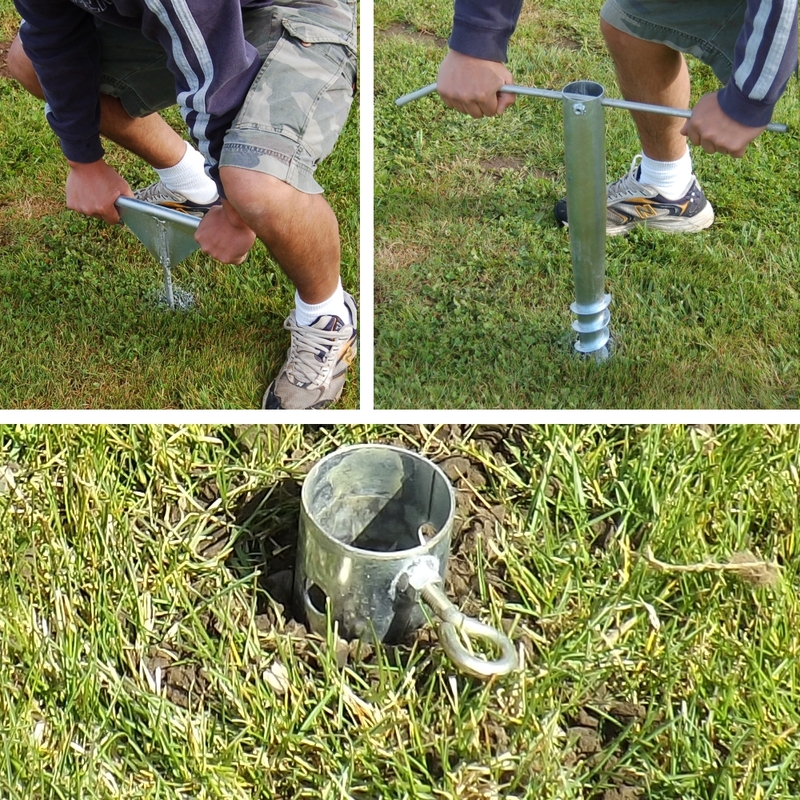 Install the first ground anchor by pushing the included probe as far into the ground as possible, if you are able to push it all the way down it should be easy to screw the ground anchor in, if you can't push it all the way down it may be more challenging to screw it in and you might need to pull the anchor out a few times as you screw it in to remove some of the dirt. 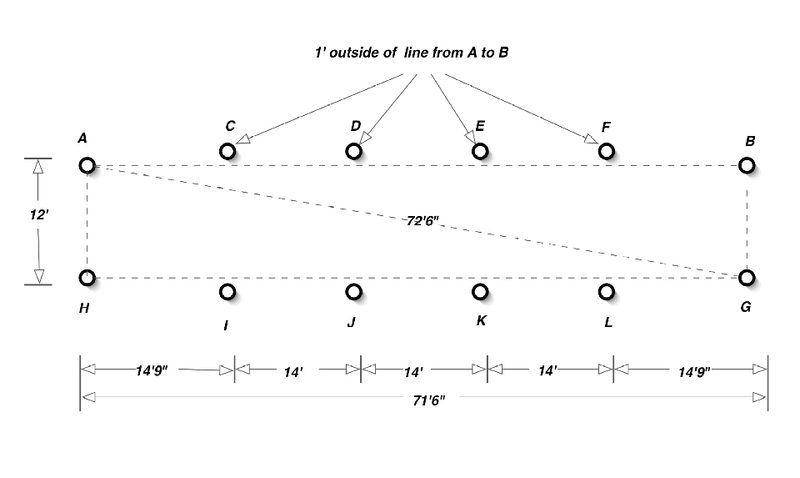 Next measure diagonally across from “A” to “E” and, with a separate tape, from “B” to “E”. 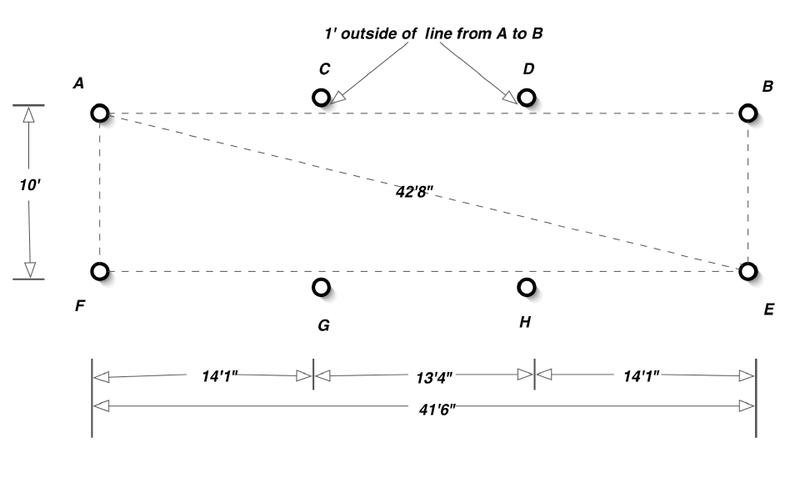 The 2 tapes should intersect at the lengths indicated on diagram. Mark hole “E” at intersection. 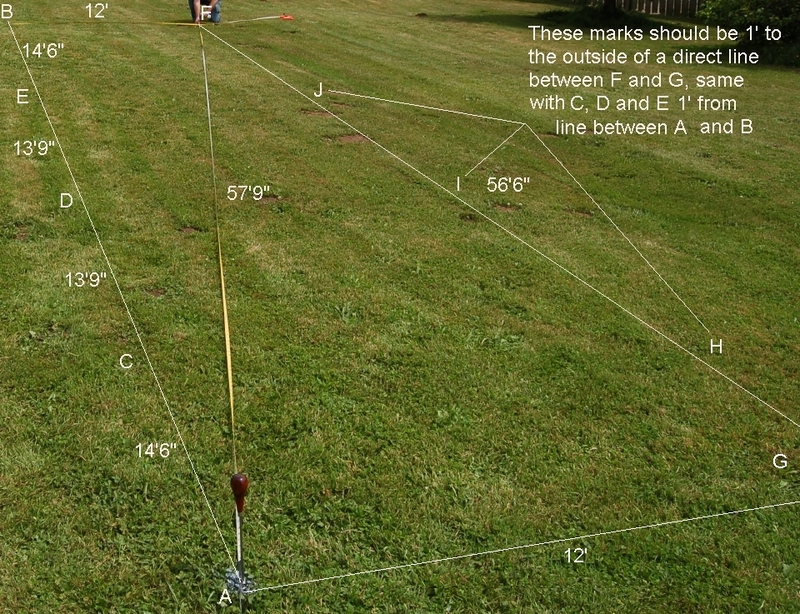 Now measure from “E” to “F” and, with a separate tape, from “A” to ”F”. The 2 tapes should intersect at the lengths indicated on diagram. 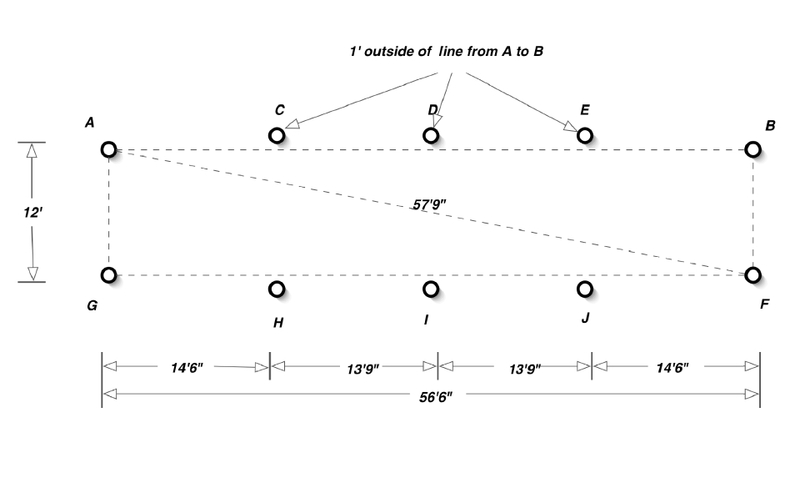 Mark hole “F” at intersection. 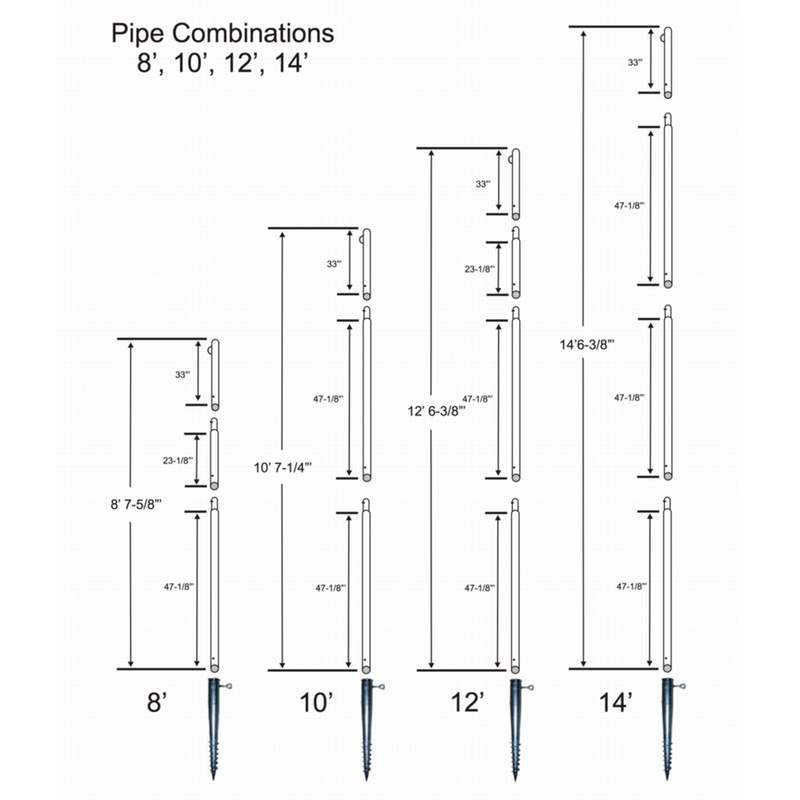 You are now ready to install the remaining ground anchors. 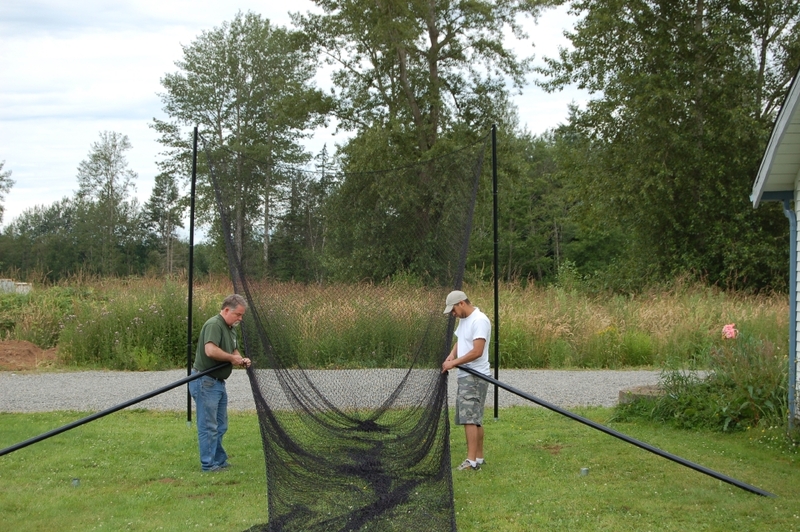 Lay batting cage net on ground between ground anchors and snap included snap hook (carabiner) where each pole will be attached, starting at one end snap the two end poles to net and place pole into ground anchor. 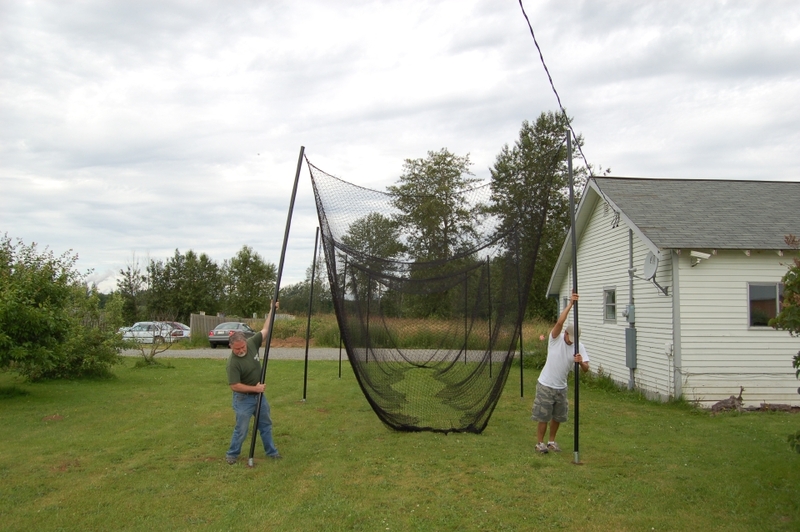 This setup can be taken down in just a few minutes, you can just lay each pole on the ground with net attached if a wind storm is expected or if you live in a development where home owners rules don't allow large permeant structure like this. 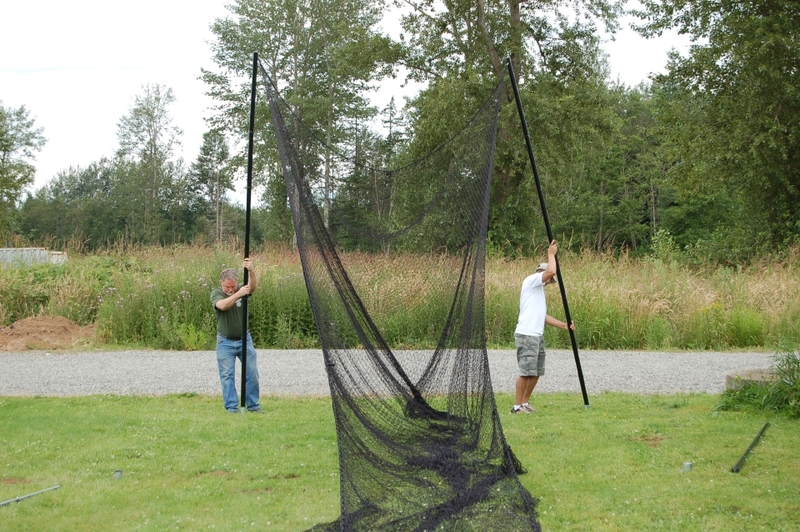 If poles are hard to lift out of ground anchor because of the pressure from the net, one option is to un-snap the pole sections or remove net using a ladder. 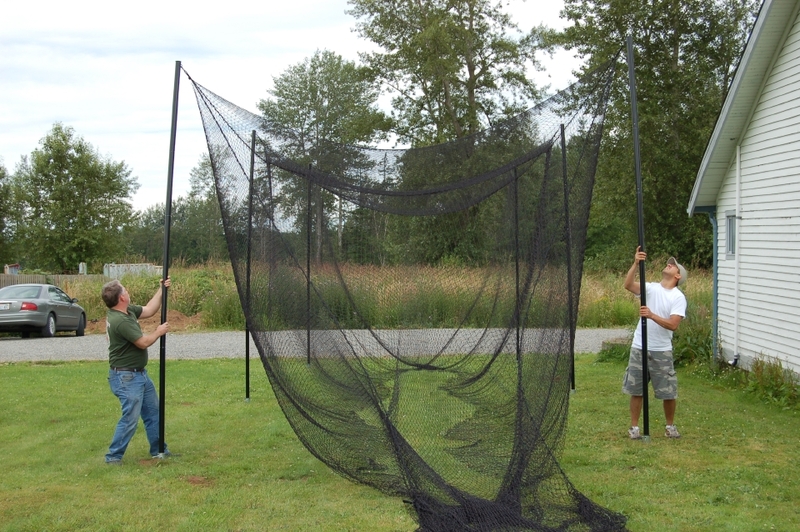 Leave snap hooks attached to net for easy installation next time.